Alaska Fire Service - FTS Inc. The Alaska Fire Service is an organization under the Bureau of Land Management responsible for providing wildfire suppression services in addition to planning and monitoring fuels management. 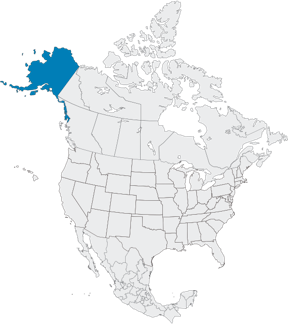 Situated in the northwest corner of the North American continent, Alaska is the largest U.S. state with a total land area of 1,717,854 km2. With a myriad of islands, many of which are volcanic, Alaska has 54,720 km of tidal shoreline. Marshlands and wetland permafrost cover a third of the state, and there are over 100,000 glaciers in the region. The area is also mountainous, and the highest peak in North America, Mount McKinley, is found here. 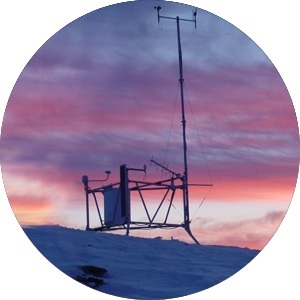 The climate is mid-latitude oceanic in the southern panhandle and subarctic in the northern parts. Temperatures in the interior can reach 30°C in the summer months, and can fall to below -60°C in the winter. The northern regions experience long, cold winters and short, cool summers. The Alaska Fire Service has been an FTS customer since 1998. All of the stations are extremely remote deployments, and can only be accessed by helicopter. The stations are also equipped with dual heavy-duty batteries due to limited sunlight in the northern latitudes.